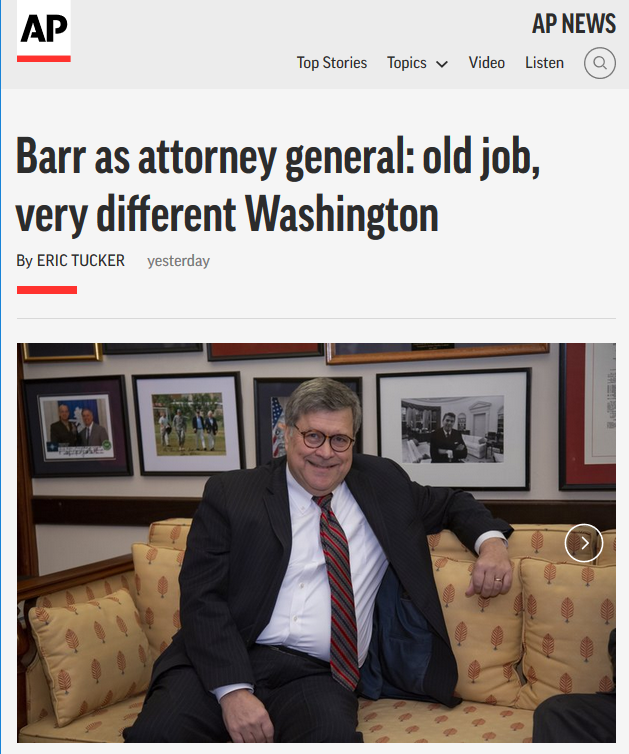 Isn't it relevant that Trump's AG nominee helped a president use the pardon power to cover up possible crimes? Donald Trump soon? We’ll see. But this actually describes what President George H.W. Bush did in 1992. 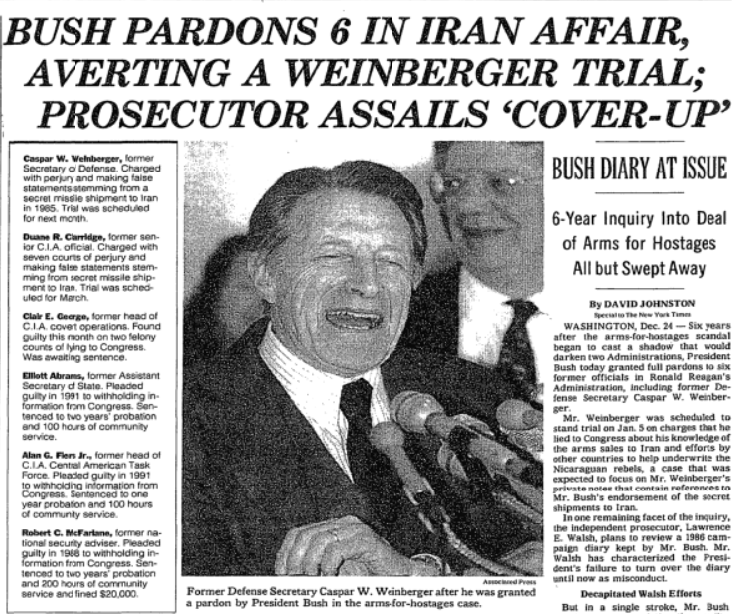 The Iran-Contra scandal revealed, among other things, that the Reagan-Bush White House had secretly sold missiles to Iran in exchange for hostages held in Lebanon, using the proceeds to fund right-wing forces fighting the leftist Nicaraguan government in violation of U.S. law. This deceptive piece was apparently picked up by literally thousands of media outlets. A search of “unlikely to compare with his tenure under President George H.W. Bush” produces more than 2,400 results. Parry, who died a year ago, left AP after many of his stories on Iran/Contra were squashed. AP's actions also fit into the institution-protecting mode of what Parry derided as the “conventional wisdom” — which in its current formulation depicts Trump’s authoritarian tendencies as aberrations from the norms of U.S. politics, rather than a continuation of the worst tendencies of his predecessors. Sam Husseini is a FAIR associate and writer based in Washington. His personal blog is http://husseini.posthaven.com.